King Colossus is a game whose theme hints at a medieval ruler, but which relies mostly on gemstones and poker cards for symbols. 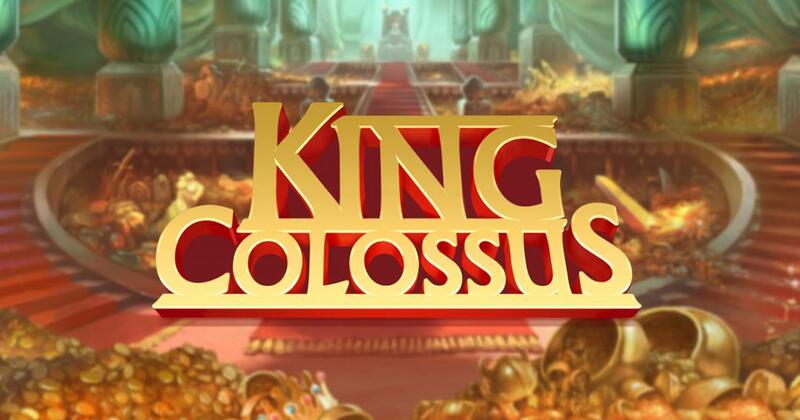 King Colossus is one of the slot machines which come from Quickspin, and as this developer has gotten us used to, the graphics are top notch, even those that show you a poker card or a gemstone. The developer might be new on the market, but its products show a lot of experience. The slot gives us wild symbols of two types, free spins and massive symbols. The 40 lines of King Colossus are placed on 5 reels. They can bring out payouts of up to $1,500. It’s a lovely design, which could’ve been superb if the symbols included more themed symbols. As it is, we get only the king and a couple of logos, to go along the various poker letters and gems. The betting system is similar in all slot machines designed by Quickspin. You work with fixed lines, 40 of them, and you just have to decide what the total bet will be. If you click on the Total Bet section, a menu will open, which will let you pick one of the twelve values, arranged in a range between $0.40 and $120. The line bet’s range is from $0.01 to $3. One of the two types of wild symbols here will show you the lion statue from the front. This is what they call the regular wild. It is used to substitute for most symbols, but not for the scatters. These wilds can be arranged on multiple positions of the same line, so that they form their own combo and pay up to $1,500. The second type of wild is the one which is used for the free spins. The lion’s profile is shown in the picture. These wilds are used on the 1st and 5th reels. You get at least two of them on those reels, each spin. In order to get to the free spins, you will need a scatter symbol, the one with the ruby which is marked Bonus. Having the three scatters present on reels 2, 3 and 4 will get you to the feature with free spins. Besides the random wild, which I’ve mentioned above, the free spins also get a Massive symbol, the King appearing in a form which covers a 3×3 area, on the middle reels. King Colossus looks great, and that’s one of the major reasons to play it, along with its features. I wouldn’t play it for its payouts though, they’re just too low.